Since its announcement at the end of 2014, Master Quality Authenticated, the MQA encoding/decoding system, has spawned outspoken criticism. Some of the more thoughtful negative reactions have come from engineers such as Dan Lavry, Bruno Putzeys, and Daniel Weiss. Others have been expressed by manufacturers of digital products: the late Charley Hansen at Ayre Acoustics, for example, along with Jason Stoddard and Mike Moffat at Schiit Audio, John Siau at Benchmark Media Systems, and Jim Collinson at Linn Products. Some have been audio writers: Doug Schneider, at SoundStage!, and Paul Miller and Jim Lesurf, at Hi-Fi News. Most vociferous have been anonymous website posters. As Jim Austin remarks in his examination of MQA's decoding of impulse-response data elsewhere in this issue, "the nastiness online is unprecedented." Typical of the nastiness are the following, taken from the Audio Asylum Web forum: "Nothing more entertaining than seeing Atkinson and Austin continuing to bury their reputation via MQA"; "MQA is a wholesale sellout"; and "If the very experienced editor of the numero uno in hifi mags (as JA is so fond of telling us) is in fact so easily duped, and even worse refuses to admit it and continues to praise what in [another poster's] view is a con, then I don't think he's worthy of much respect." Am I being duped? I admit that, when I studied Stuart and Craven's 2014 AES paper introducing the concept (footnote 1), I found it theoretically elegant. (Peter Craven is an engineer whose ideas I have grown to respect over the years.) Subsequent demonstrations were convincing. In December 2014 I wrote, in an online news item, that "MQA will allow what appears to be true high-resolution audio to be delivered over the same Internet pipes over which music lovers currently experience at best CD-quality audio from Tidal or Qobuz." The reduced data rate is due to the fact that, with files sampled at 2x, 4x, or 8x the baseband rate of 44.1 or 48kHz, the information in the first, second, and third ultrasonic octaves can be encoded and packed below the music's baseband noise floor in a 24-bit container. This "audio origami," as MQA calls it, results in a much smaller file than the hi-rez PCM equivalent, yet when the file is unfolded, the resolution and bandwidth of the original file are claimed to be preserved. 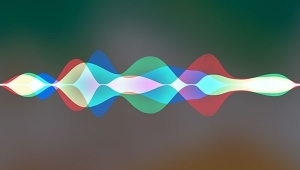 I was initially skeptical of how the ultrasonic octaves could be separated from the baseband data without introducing artifacts, but studying the digital-signal-processing literature did seem to indicate that it was possible. And it is, of course, how digital-domain loudspeaker crossovers are implemented. In May 2016, I examined this claimed reduction in file size with some of my own 24-bit/88.2kHz recordings for which MQA's CEO, Bob Stuart, had sent me MQA equivalents. Not only were the MQA files smaller than the original PCM files, they were smaller than the uncompressed 16/44.1 CD version of the recording, so that claim by MQA is incontrovertible. In that 2016 article I also examined the next claim made for MQA: that the encoded ultrasonic data can be encapsulated and buried in the least significant bits, beneath the original recording's analog noise floor. That claim, too, appeared to be correct, though there was a rise, undoubtedly inaudible, in the undecoded noise floor at close to half the sample rate that may well have be symptomatic of MQA's encapsulation of the ultrasonic data. The most contentious claim made for MQA is that it can compensate for the time-domain errors of both the original A/D converters used to make a recording and the D/A converter used to play it back. This results in the complete recording/playback chain having an impulse response equivalent to a few feet of air, and temporal resolution of the same form and order as that of the temporal sensitivity of the ear-brain. Jim Austin examines the D/A aspect of this claim in his article in this issue, and other writers and I have conjectured that this time-domain compensation correlates with the always-superb sound quality we have heard from decoded MQA files. However, optimizing the digital chain's behavior in the time domain involves using a very "short" antialiasing filter at the A/D conversion, and a similarly "short" reconstruction filter when the digital data are decoded. The more you constrain the data in the time domain, the less you can do so in the frequency domain. These filters are therefore "leaky," as you can see in the measurements accompanying the Aurender review in this issue, and will thus allow ultrasonic images to fold down into the baseband. Such filters are not new. Wadia's DigiMaster filter and Pioneer's Legato Linear filter both date back to the end of the 1980s, and the Listen filter in Ayre's D/A processors is also short and leaky, with a slow rolloff above the audioband. On the A/D side, converters from dCS and Ayre, both of which I use to make my own recordings, offer a switchable slow-rolloff antialiasing filter. Does the filter's inherent aliasing degrade sound quality? That will depend on every recording's spectrum, and will be examined by Jim Austin in a future article, along with the question of whether MQA encodes ultrasonic information lossily or losslessly. Footnote 1: See J. Robert Stuart and Peter Craven, A Hierarchical Approach to Archiving and Distribution"; the description section of the relevant patent; and a Q&A here. Can we recall the drubbing all digital has been getting until just recently ? As far as "anonymous" commenters are concerned, we should include the Acid Spitting from Stereophile's Analog Turntable Set-up guru, including the ugly insult he sent me in a ( blocked response ) email. However, ugliness is not at all a common feature of Stereophile's Vast Readership.! We should acknowledge the high ideals and standards of propriety belonging to the vast group of those composing Journalism or commentary. Unfortunately, the nightly news is filled with ugliness seeping out Washington (lately), setting a horrible example for the nation to follow. We might have to tolerate it but we don't have to accept it. The option of silencing ugliness is UnAmerican, we have the Constitution for gods sake!! I've admired J.Atkinson since the 1980s in England, he and Stereophile ( under his... ) remains worthy. Meridian has been brilliant for a lonnnnnnnnnng time, I'm happy to see B.Stuart finally hit one outa the Park. In fact I'll buy another entire Meridian System ( I've owned 3, so far ), probably the DSP33 & the matching control electronics. Everybody's talking about MQA, phew, who could've guessed that Meridian would achieve "Center Stage" here in the States? "As far as "anonymous" commenters are concerned, we should include the Acid Spitting from Stereophile's Analog Turntable Set-up guru, including the ugly insult he sent me in a ( blocked response ) email." Mr Fremer is a poor representative of Stereophile and the TEN network. Fortunately, Mr. Atkinson is 180-degrees opposite. I don't know enough about MQA yet to form an opinion. 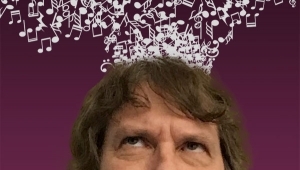 I think critical opinions -- on AudioAsylum, Hydrogenaudio, and below-blog comments here on Stereophile -- are emotionally driven, often based on intellectual jealousy. I applaud Mr. Atkinson for having addressed the issue both scientifically and MATURELY. Tony, your complaint about a hurt you believe to have experienced here is outside the context of the specific nastiness referenced in this article. Hurt ? I don't feel hurt. Believe ? I'm not a believer. I retired and find myself with time to catch-up with one of my lifelong loves : the Audio Business. I also spent a year as part of a Auto Industry Group supporting Bernie Sander's Presidential run. Stereophile Mag. seems to be about good sounding gear & trying to discover the reasoning behind it. Pro-Audio Gear is "Accurate" gear with no regard for making music "sound" better or good, its built to reveal all its flaws which the Pros need to hear and adjust to. Reading Stereophile is like sitting on a lawn chair watching 'skilled' Gold prospectors working to find gold nuggets. Month after month new discoveries are revealed, it seems endless. Conversely, during my years in Consumer Audio, I had to purchase every single piece I evaluated for my business, audio journalists didn't seem to have the skill to properly describe ( a few exceptions ). Now, today, maybe for the first time, Stereophile has a bit of Competition from Steve Gutenberg's YouTube daily. Look out World, Audio has gone Visual.
" ... Since its announcement at the end of 2014 ..."
" ..Am I being duped? I admit that, when I studied Stuart and Craven's 2014 AES paper introducing the concept (footnote 1), I found it theoretically elegant." " ... MQA..has spawned outspoken criticism." " ...in that 2016 article I also examined the next claim made... that the encoded ultrasonic data can be encapsulated ..."
Let's start with JA's (theoretically! )'elegant' assertion. So elegant that 4-years on and there remains not only (rightful) objection, but further time is required to address industry concerns ? Very elegant indeed.
" ...The most contentious claim made for MQA is that it can compensate for the time-domain errors ...."
Many other similarly qualified minds similarly object. So, how do you see "these claims" contentious -as opposed to verified/exposed deceptions -untruths ? This (your) article was written/posted Dec 11, 2017, three (3) years after MQA's theoretically "glorious/elegant" introduction. The concerns raised indeed remain the same today (April 11, 2018) and in a few short months, 4-years of MQA has passed. Four years ! I've never seen/heard/read anything so eloquent confer such dissension -over such a lengthy period of time. I believe, the "Gig" is up -soon to be relegated to the annals of hi-fi horrors (lol). Whatever 'good intentions' were originally envisioned (for MQA) has clearly been challenged -debunked in essence. Time to move on. Several "other" hi-rez distribution (file size/stream-data rate) methods already exist and can be clearly demonstrated superior to MQA's complicated and deeply flawed 'system'. 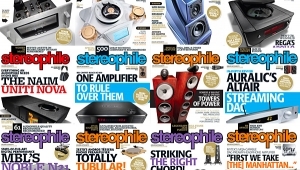 With that said, it's credible that Stereophile continues to engage its readers as folk/publications such as Harley/Absolute Sound remain conspicuously absent from further commentary -unless I'm unaware (as I very well could be -lol). I have criticized MQA via online forums, but I do not consider my criticisms "nasty". And I post under my own real name, same as here at stereophile.com. I have nothing to hide. 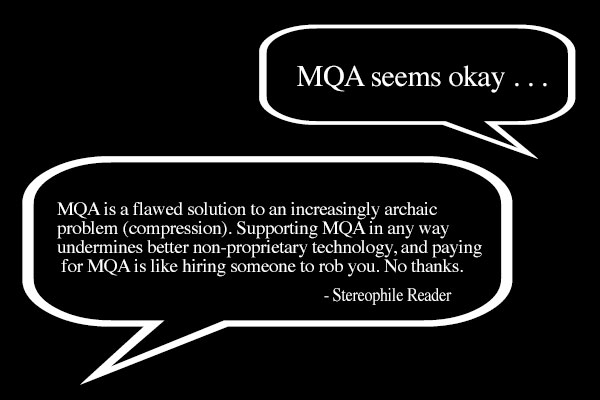 To me, MQA is a solution looking for a problem. I would prefer to have real, uncompressed, hi resolution audio files, and allow my choice of DAC to use my choice (of designer's) digital filters, not proprietary MQA filters. My biggest fear is of widespread acceptance of MQA, and that record labels may choose to release music as MQA and forego releasing native, hi resolution music. I have no problem with MQA being available as an "option" on music files, as long as I am assured that the original hi resolution native file will also be offered; but as one who is aware of the history of record companies, I see little chance of this happening if MQA gains wide acceptance. I do believe MQA could offer a benefit to "normal" casual music listeners if it were replace MP3 as the new standard format for non-audiophiles, and I think this could be a good thing (as long as native hi resolution will be available for audiophiles who want it) as it might re-engage normal listeners with music again. The list of designers who oppose MQA is pretty impressive, some of the very best minds in digital audio development, hmmm. I understand your concerns. But I think that standard PCM will continue pretty much unaffected. I certainly hope so. I suspect this because original recordings are likely to continue to be made in PCM, with MQA being an option for mastering. I could be wrong, of course. You are clearly not ‘nasty’ but it’s easy to find people who are - I remember that huge computer audiophile thread that was full of vile allegations about Bob Stuart and MQA.
" .. I would prefer to have real, uncompressed, hi resolution audio files, and allow my choice of DAC to use my choice (of designer's) digital filters, not proprietary MQA filters." For sure, MQA/Stuart over-stepped their self serving (and flawed) MP/Apodizing filter interests. It's as if though these intelligent chaps thought "We'll get the last word in regarding filter types/and associations". In defense of their flawed DAC filter design, they found it necessary to introduce equally dismal ADC filters to achieve a totally complete (end-to-end) mess of signal reconstruction? Most bizarre. If similarly talented folk would nod in agreement with MQA's findings -we'd all be ecstatically bathing in lucid, engaging, soothing/warming MQA waters! But, we ain't? My, my, what has become of ...?
" ...The list of designers who oppose MQA is pretty impressive, some of the very best minds in digital audio development, hmmm." You're right. And MQA sits silently in the background (N/A in addressing industry concerns)? Very unprofessional. And even greater unaccountability. Ugh...Another "Byte Me" tech argument?? I'm old enough to remember when Phillips (remember them - the folks that invented the digital audio format?) first introduced 4X oversampling in CD players back in the early 1980s. The rationale for it was to reduce the need for steep anti aliasing analog filters which were subject to tolerance variations, high phase shifts, and the associated high frequency ringing that amplifiers of most types have a hard time dealing with. I have yet to encounter a person who can detect high frequencies above 20 khz. Similarly, most people would either run away or resort to ear plugs if subjected to sounds that are 90db above their audibility threshold. So what are we really talking about here? Is it possible to segment ultra high audio frequency bands and encode them using bytes that are restricted to sound levels below the noise floor? It certainly seems plausible. But more importantly, WHY would anyone waste time and energy doing that if only dogs and bats can hear it? Btw, if more upper frequency data is being sampled and recorded, there is no way for the file to be the same size or smaller. Segmentation of the bit stream and upper bands doesn't magically add sampled data that doesn't take up space. In all likelihood, the reason the MQA files and non MQA files are similar in overall size is because the source material has precious little data in it above 20khz. Well, the claim is that although we can’t hear frequencies above 20kHz, we can detect the timing of events more accurately than sampling signals up to 20kHz can resolve. I’m not an expert so I can’t vouch for the truth of that. You’re right, there is less musical content above 20kHz. MQA relies on that in the way it captures ultrasonic frequencies. There is quite a bit of research now which shows that humans do perceive sounds above 20 kHz, not through "hearing" necessarily. Anomalous artifacts not associated (anharmonic) with music appear to be very disturbing to the ear/brain processing and very possibly lead to a difficulty in the brain's processing of music. Additionally, ultra high frequency content can produce intermodulation distortion which folds back into the audio bandwidth. The bottom line is that it is poor engineering to allow high levels of ultra high frequency artifacts to come out of a digital stage and proceed into an analog stage, as it can, and often will, produce real problems. barrows: I'm not certain if your words simply did not "unfold" as planned (causing anti-harmonious blurring! ), but may I advise conducting further research before spilling such "anharmonic" content upon unsuspecting readers that is indeed "very disturbing to the ear/brain processing and very possibly leads to a difficulty in the brain's processing". In the meantime count me in the "pro" camp. I strongly believe in science but I also trust my own ears. Great to know you are a strong advocate of blind, controlled listening tests. The science of "trust own ears". Most audiophiles are science baggers who have zero trust of their ears..and thus must rely on sight, belief, biases, volume, daydream fantasies, etc, etc, to "hear". I think you should call your legislator. Ladies and gentlemen, I offer AJ’s comment as evidentiary exhibit A showing the nastiness referred to in the article. I’m not judging you AJ, I’ve been no better at times on this site. ... two different versions of the same original music file, one which has undergone only the "audio origami" process and one which has undergone only the time-domain error compensation process? It would be interesting to know which process - extra bandwidth/bit-depth resolution (as packed into a redbook size file) or time-domain error reduction - seems to make the greater audible difference. If MQA effectively "peels off" a portion of the 24 bit byte to store signal levels at sampling intervals between the standard sampling rate interval, you are sacrificing dynamic range resolution for extended bandwidth. The earlier oversampling approach pioneered by Phillips in the early 1980s resolved the anti aliasing filter challenges and it didn't involve encoding the original source with a wide bandwidth, fast sampling rate sourced signal. As a previous poster suggested, this MQA process is a solution in search of a problem. If you are decoding with a 4x or more oversampling rate, the only reason to encode signals that are higher than 20khz is if you can hear those frequencies. Just like your hearing doesn't have the capacity to appreciate the dynamic range built into a signal that has 24 bit resolution, it doesn't have the capacity to detect in a meaningful way a 21khz or 25khz signal. The whole exercise is therefore moot - like a lot of other "high end" solutions in search of a problem. Most commercial recordings don't really use that dynamic range. Still, it's wrong to suppose that we can't hear below the noise floor -- the experimental figure I've seen is that we can hear 10 dB below it -- so I question the truncation of the least order bits and their substitution with what I assume is dither after the ultrasonic information is "unfolded." It could potentially rob some recordings of space. That said, using a sampling rate higher than 44.1 kHz does make an audible difference. This has long been known. Clearly, it isn't because we can detect ultrasonic frequencies, but there's interesting research that suggest that we *can* detect transients that have frequencies in that range via a different mechanism. But beyond that, one has to consider the audible effects of the low pass filters themselves. They achieve that sharp bandpass by introducing ringing -- and not just ringing, but in acausal linear phase filters, preringing, which is sonically unnatural. A higher sampling rate allows the use of gentler anti-aliasing and reconstruction filters, minimizing this problem. Something is accounting for the audible difference between 44.1 and higher sampling rates, and the transient characteristics of the filters is as good a bet as any. You should try doing what I have, and listening to Tidal MQA with MQA processing on and bypassed. There is a clear difference, sometimes an in-your-face one. LOL...I was listening to high speed Kenwood amps probably before you were born. People have been arguing the audibility of transient characteristics since Dr. Otala published his findings about the deleterious effects of excessive negative feedback in the 1970s. I can assure you, there are a lot of downsides to reproducing frequencies high above 20khz. The last Kenwood amp I ran had a .9 microsecond rise time and 200V/microsecond slew rate. This translated to flat response out to about 500khz. The only audible difference I could detect that set it and similar quality amps of the day like Accuphase, Luxman, Yamaha, and Perreaux apart from the rest of the junk on the market was noise floor. On the down side, it succumbed to high frequency saturation and runaway in the output stages - consuming itself like many of its ilk ultimately did. There are lots of people who claim to hear high frequency "artifacts" and the audible effects of things like Bybee resistors and speaker wire suspenders. As with UFOs, I've never been able to experience the benefits others claim to have heard. Whatever floats the boat... Back on the subject at hand, I honestly don't think electronic audio files need to have anything more than 12 bits of resolution and a basic 44 khz sampling rate with 4 or 8X oversampling on the decoding side. 12 bit corresponds to a 74 db dynamic range. The formula to convert bit resolution to dynamic range db is dynamic range (db) = 6.021 * N (number of bits) +1.73. So for a 24 bit system, the range is theoretically about 146 db. 16 bits resolution - the original digital standard along with the 44khz sampling rate seemed to have satisfied everyone except the golden eared ones who have gone back to vinyl in recent years. Try as I might, other than the pops and clicks of dust and scratches, I could never hear what they say they hear. The fact that some people believe they hear sonic differences that they don't (and I agree that that is sometimes the case) doesn't mean that those who really do hear differences don't. There's plenty of evidence that listeners can hear the difference between 44.1 and higher sampling rates, including successful ABX tests. The question isn't whether such differences are audible, but why. A 12 bit recording with a 74 dB dynamic range would mean that for a recording with a peak SPL of 120 dB, the sound would be dependent on dither below 46 dB SPL. The threshold of hearing is about -10 dB SPL in the midrange, and noise in a quiet listening room is significantly below 46 dB SPL (see Fig. 6 in the Fielder paper). Anyone who can't hear dithered audio 54 dB above the threshold of hearing needs an ear trumpet! There's plenty of evidence that listeners can hear the difference between 44.1 and higher sampling rates, including successful ABX tests. I know you are aware of the meta-analysis presented by Joshua Reiss at an AES convention, AJ, because you have criticized it before. See my mention in www.stereophile.com/content/simple-everything-appears-simple. Your criticisms, in my opinion, were incorrect. Dr. Reiss's results do indicate that under blind test condition listeners can detect the difference between base-band audio (44.1kHz and 48kHz sample rates) and higher sample rates. There it is John, an admission that the cause of this perceived difference statistically mined from cherry picked studies, were unknown. Nevermind how one "trains" for unknown cause (see my AES comments). IOW, errors in the testing itself cannot be eliminated as the cause for the statistical significant results. Which makes sense given the highly dubious nature of some results, like subjects being able to discriminate (with statistical significance) Hi Rez vs 16/44...but not vs Mp3! I might also mention that almost every study referenced by Bob Stuart, includes the statement that >20Khz as "inaudible". I'm afraid the statistical mining of cherry picked studies by a High Rez committee chairman, who admits there is no known cause for his results...is hardly evidence at all. As Bruno also noted on his Facebook page, Bob has admitted that no scientific tests of the audibility of MQA exist. There it is John, an admission that the cause of this perceived difference statistically mined from cherry picked studies, were unknown. "Whoosh" goes the sound of moving goalposts. First you imply that there was no evidence and ask for "AES" studies, then when I present you with evidence, from an AES presentation no less, you try to discredit the findings. Note, BTW, that Dr. Reiss didn't "cherrypick" the studies included in his analysis. He was very clear both in the presentation and in the subsequent paper why he discarded some tests, on methodological grounds. 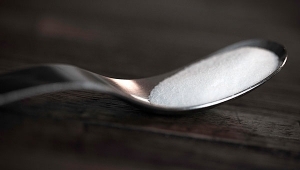 The studies that were included in his meta-analysis met rigorous scientific standards. I didn't discredit the findings, Dr Reiss himself did: "Causes unknown". So now you are suggesting that differences between 16/44 and Hirez IN THOSE TESTS for "unknown cause" is your evidence? Yes, Reiss cherry picked the studies for what he felt was enough "statistics" NOT WHETHER THE STUDY RESULTS WERE VALID, i.e. mp3 indistinguishable from Hi rez. The studies that he didn't include showing the opposite (M&M) also met scientific standards, it just didn't fit the committee cause. The fact remains the reason a "meta" mining was needed, shows just how elusive this "evidence" for Hi Rez is now 30 years going. Hardly surprising then that Bob Stuart has zilch for MQA also. No, he rejected the Meyer-Moran test from his analysis because statistical analysis of the data indicated that there was something wrong with their methodology. Meyer and Moran concluded that there was no audible difference between baseband audio and higher sample rates, ie, the results were due to chance alone. This means that in a fair test, the results should be 50/50 identification/non-identification, with a Normal ie, Gaussian distribution. The Meyer-Moran test data had nothing like a Normal distribution, which suggested that there might have been some manipulation of the data. And please note that I have deleted several postings of yours where you demeaned or flamed someone with whom you disagreed. If you continue to behave like this, I will give you a timeout. Address the point being made, not the person making it. Meyer & Morans test was the only one done with actual 16/44 vs >16/44 music with a large number of subjects, using real equipment, no MATLAB concocted filters in labs etc, etc..
Kanetada 2013 - mp3 vs Hi Res scores higher than CD vs Hi res, Pioneer supertweeters tacked on to JBLs, no IM measurements. Jackson 2014 - “The Audibility of Typical Digital Audio Filters in a High-Fidelity Playback System" NOT A HIRES vs CD test! Highly questionable fabricated filters, no dither - plenty AES comments with backtracking. Mizumachi 2015 - Supertweeters added in car, no IM tests, once again lower discrimination vs mp3, same nonsense like Kanetada. Theiss 1997 - supertweeters added, no IM tests, 48k vs 96k (not 44), only 4 subjects tested. Clear evidence...please. Highly dubious tests cherry picked due to positive results...in some cases barely. He's detected a phenomenon and that's all that's necessary. I'm as intrigued by the causes as anyone else, but from a practical perspective, we know that the difference can be detected and for that reason it seems to me that we should base the parameters of the audio chain on that knowledge. Until the causes are known, there is no way to eliminate experimental errors as their source. There is also no way to "train" for "unknown"...for obvious reason. There are red flags everywhere on those dubious tests he picked for showing the greatest statistical significance. Examined independently, each one has serious issues that need addressing. Ironically, his highest weighting is on one that appeared to have never made it to publication! Sure, experimental flaws are always a possibility (see Meyer Moran for a a well known example), but I've just seen too much evidence that there are audible differences -- rigorous and informal ABX tests, etc. -- to disbelieve my ears, or those of the associates who were involved in the development of high res formats. We should always be skeptical, but ultimately I think we have to base our engineering decisions on the preponderance of evidence. After all, we can often heard differences without knowing why. With time, we're better able to understand what causes those differences -- jitter, for example, or the missing codes that afflicted the Stockham converters. The evidence is what leads us to identify the causes so we can remedy the flaws. And there really is interesting research that suggests we are sensitive to frequencies above 20 kHz, even though the sine wave response of our hearing doesn't ordinarily extend much beyond that, and that we detect high frequency transients by a different mechanism that isn't subject to the limitations of the cochlear frequency detectors. experiment found a displacement threshold of d≈2 mm corresponding to a delay discrimination of τ≈6 μs." I think we have to base our engineering decisions on the preponderance of evidence. Which is exactly why my ilk rejects nonsense scams like Hi Res and MQA. You nailed it. Folks like me can examine/comprehend the data first hand, rather than rely on dubious data mining etc. Because I sure don't see any scientific evidence that high res is inaudible and you'd have to be deaf as a barn door not to hear the difference when MQA is bypassed (though I haven't personally reached a conclusion on whether it's consistently better). And I can't for the life of me see what would be good about the failure of Tidal. Even if you don't want MQA for some reason, do we really want to lose the only widely-available service that streams uncompressed 44.1? I've never given them much of a chance since the market is already saturated but that would leave us only with the financially shaky and Europe-only Qobuz as well as Deezer for uncompressed streaming. Evidence. Unfortunately, anecdote doesn't count. The evidence John pointed to (Reiss) is dubious at best, as I pointed out in the breakdown of each individual study. I couldn't care less if Tidal music fails, as I am no longer a subscriber and haven listened extensively, tested many believers (unknowingly to them) not an MQA supporter. I do believe in free market determining their (Tidal) survival. To keep the record straight, this article discusses Jay Z’s Tidal streaming service, not German hi-fi manufacturer Tidal Audio. The guy was only trying to determine if people could hear the difference between ~CD sampling rates and twice that, and based on his survey of the research (combining studies is a common way to up your sample size, and differences in methodology are taken into account) the answer is "yes". - at 48kHz, there are only about 10 samples (data points) to represent a 5kHz sine wave (well within almost everyone's hearing range) and doubling (or more) the # of samples should make the output more accurate because calculus. - doubling sampling freq. halves the time between samples therefore halving the timing error range (so, jitter) between samples. I don't think I understand that statement. That's not the way the Nyquist-Shannon Sampling Theorem works. Could you explain? at a sampling rate of 48kHz, there are 48,000 individual "snapshots" of the waveform. 48k/5k = 9.6 samples per wavelength (both positive and negative halves) at 5kHz. Moving to a sample rate of 96kHz doubles the number of "snapshots" at any given frequency. This has nothing to do with the Nyquist frequency (24kHz in this case), just the math of how many times a single cycle of a waveform at a given frequency is sampled. Doubling the sampling frequency should make the final output more like the original input (think integral calculus) because of the higher resolution (more sample points). Doubling the sampling frequency should make the final output more like the original input (think integral calculus) because of the higher resolution (more sample points). I'm well-familiar with integral calculus, but that's not how the Sampling Theorem works (see the above link, or watch a youtube video for an explanation of how the Sampling Theorem works. A higher sample rate (above 48KHz) will not alter the reproduction of a 5KHz sine wave at all. altering the sampling frequency alters the amount of information available to the DAC to reconstruct the original waveform. I don't know about you, but I really really hate listening to sine waves and you won't find many of them in music. Musical waveforms are very complex, and having only about 10 to 20 samples per second in the very important 2.5kHz to 5kHz octave will miss a thing or two at the A/D stage (and it gets worse w/ rising frequency). Don't get me wrong, the algorithms used to reconstruct those waveforms have improved immensely in the last 30 years and do a wonderful job now, but they're still going to do a better (more accurate) job with more info (samples). Double the sampling frequency, double the info captured by the ADC and given to the DAC and therefore increase the accuracy of reconstruction. Why do you think the D/A converter has a conniption above the Nyquist frequency? Not enough info. Big difference between 10 - 20 samples per second as you stated above and 48000 samples per second. Might want to fix that. Passed through a typical D/A, you might be surprised to find that the waveform is virtually identical whether the original sample rate was 44khz or 192khz. 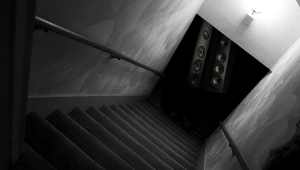 Your loudspeakers won't know the difference either in terms of energy transmitted - and neither will your ears. Math, do you do it? 48000 samples per second divided by 5000 cycles per second gives you the number of samples per wavelength at 5000 Herz (9.6 btw). At low E on bass gtr (~40Hz) you get ~1200 samples per wavelength. That's how many data points the DAC has to reconstruct each cycle at a given frequency. Next time you attempt to "burn" someone, try not to fail so hard. And remember... the more you know! Sorry, but you simply misunderstand how a DAC reconstructs the analogue signal. If your sample rate is already 48 kHz, going to a higher sample rate has absolutely no effect on the reconstruction of a 2.5kHz-5kHz signal, which is way below the Nyquist frequency. No matter how many times you say that having more sample points allows a more accurate reconstruction of the original waveform, it's just not true. I suggest you watch the video I linked to. It will explain how this works much better than I could in the comment section. Needless to say, understanding this basic point is rather germane to an intelligent discussion of the merits (or lack thereof) of MQA. sample rate is determined by the analog to digital converter, and that's what I'm talking about. Do you even understand how this stuff comes into being? It starts as an analog signal, it is digitized at a specific sample rate (from which you can easily determine how many data points of information exist for any given frequency) and no matter what is done to it later the original sample rate (and bit depth) determines the amount of actual analog information encoded. The DAC's job is to reconstruct the original analog signal from the information it has. The more info that is captured and passed intact to the DAC from the ADC the more accurate the output can be. I, at least, am not talking about oversampling. If we are talking about a bandwidth-limited signal, then everything up until your last sentence is correct. If there is no content above (or, in your example, anywhere near) the Nyquist frequency in the original analogue signal, then you can increase the sampling frequency used by the ADC, till the cows come home, and the analogue output of the DAC will be unchanged. from analog instruments which is only bandwidth limited by the sampling rate. Think about quantization (which this is), the finer your tine interval (sample rate) the more accurately you can encode the original waveform. It's no different than when they teach the way using calculus to determine the area under a curve is a math trick for getting an essentially infinite number of slices (samples) of the curve (waveform) by dividing a sine wave into smaller and smaller slices. I still don't understand how it can be controversial to state that if you give the DAC a closer approximation of the original analog waveform by using a higher sample rate at the ADC, that the DAC will then give a more accurate result. GIGO holds true for everything except recycling. Electronica are not bandwidth limited. Analogue instruments, in practice, are. As are (with a few exceptions) the recording microphones used to capture them. It's no different than when they teach the way using calculus to determine the area under a curve is a math trick for getting an essentially infinite number of slices (samples) of the curve (waveform) by dividing a sine wave into smaller and smaller slices. Sorry, but it is different. Unfortunately, what you learned in college is not everything you will ever need to know. Reiss showed that, although the individual tests had mixed results, the overall result was that trained listeners could distinguish between hi-rez recordings and their CD equivalents under blind conditions, and to a high degree of statistical significance. John, same question I asked Reiss, How do you train for an "unknown cause"? What does that "training" entail? I'm traveling today and on my phone so can't point you to the research on the audibility of transients but I'll do it when I get back. To me, the more interesting question is why one can hear it. And o don't know how much listening you've done to MQA, but I think you'd be surprised at how much of a difference bypassing the processing makes on some cuts-- not that I'm sure yet it's always better, or what the differences are due to. One thing that's clear--transients do change, compared to what I hear from the minimum phase filter in the dragonfly red. The research on transients detection might well explain why. Some of your points have merit. I'm sure we can all agree that human hearing is variable and the often quoted 20khz limit is not likely to apply to everyone. In the big picture however, we're talking about an industry standard. So is it appropriate to develop a standard that satisfies the bulk of consumer needs - especially in serving the interest of reasonable cost and long term market stability? On that front, the only real advantage I see of a new encoding format is to maintain current "lossless" sound quality standards while delivering reduced file size and reduced internet bandwidth usage. I'm fine with cropping out insignificant data bytes from transmitted files - bytes that aren't really being used in a high resolution system. But I don't see any reason to build a system for reproducing frequencies that most of us (maybe >98%) can't reliably detect. And as for real world dynamic range, there is only one CD in my collection of about 600 that has the kind of dynamic range you say is "needed" (about 120 db). And frankly, I never considered canon shots to be a "legitimate" source of music. Moreover, I never "enjoyed" putting loudspeakers (or my ears) through that kind of torture. we seem to be talking about two goals here, one an ideal system with complete fidelity and one a practical delivery method to the average consumer. The needs of the music lover and the typical kid with an iPhone are very different. I don't expect that the kid will much appreciate the benefits of MQA -- he isn't even listening to his autotuned pap with lossless CD quality. So while I think we may be able to benefit from better schemes of lossy compression (I certainly don't bother to stream Tidal at 44.1 on my phone, I doubt I'd hear the difference on a noisy street or on a plane), I don't think that's a reason to neglect sonic improvements that many of us can hear on good equipment (and MQA really isn't as subtle as some have been making it out to be -- the difference between MQA decoding and MQA bypassed is easily audible on most of the tracks I've listened to). Regarding dynamic range, I agree that few commercial recordings have that kind of dynamic range. But they should. Something like an uncompressed recording of a Mahler symphony would use it, if played at natural levels (which admittedly most of us don't and often can't do owing to equipment limitations). Yes, it's probably wasted on studio pop, with its limited dynamic range, but not on a truly good, uncompressed recording of the most demanding acoustical music (see again the measurements of peak levels in the article). That's just straightforward math -- we should be able to reproduce everything between the peak levels and the threshold of hearing, and then some, to account for the vagaries of level setting. 1) 20 KHz. hearing threshold is NOT the reason we seek a 50-KHz. passband -it's because there IS music signal energy up to in/around that region. 2) Forty years ago, I suppose it was necessary to specify a practical frequency bandwidth, noise & dynamic range 'spec's'. But we are in 2018, and the objective/capability to capture the entire music spectrum is the calling of the day. a "calling" that requires Fs at 88-96/192 -ensuring a faithful (to the original) recording is maintained. In case you were unaware, faithful high frequency reproduction is crucial to maintaining the tone & timbre of the music we do hear (within the often cited 20-20K range). Hi Josh: You appear to have gathered "pre/post" ringing (singing?) 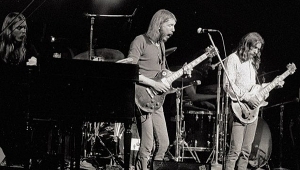 wording (blues) via past MQA discussions?
" .. They achieve that sharp bandpass by introducing ringing -- and not just ringing, but in acausal linear phase filters, preringing, which is sonically unnatural. A higher sampling rate allows the use of gentler anti-aliasing and reconstruction filters, minimizing this problem." How do you know that this "pre/post" ringing is 'unnatural'? As someone commented (may very well be Xivero.com), the input signal used to generate the 'ringing' graphs are unusual in that it is not the type of signal found in music signals -perhaps resulting in an inaccurate/skewed graphic representations? Additionally, you state that increased Fs can "minimize"
the problem? How so? Explain. I believe the Xivero company (Xivero.com) has shown evidence that a Linear Phase (LP) filter operating far outside the passband has absolutely zero/nada/nilch/zilch pre/post ringing. Interestingly, however, is the phase/amplitude signal impairments courtesy of minimum phase/apodizing digital filters -regardless of bandwidth/bit-depth accommodations. As you recommended, so do I: Listen to an MP and LP filter and decide for yourself what represents the most accurate, precise, engaging SQ. You may very well find that it could be a 50/50 proposition, (or 80/20 or 30/70). In which case, why should be one (filter type) be thrust upon listeners who interpret (hear) differently ? In the end, as long as MQA is a Take it or Leave it option, very little fervent argument would consume such lengthy (and fiery) concern. Problem is, MQA may can impact/impair music to those not interested in MQA hardware/playback (or SQ) -a concern shared (understandably) by everybody in the business of music making, recording, distribution and playback. A kind of 'In-Ones-Face' aggression, some (rightfully)fear. Pre-ringing is unnatural because instruments don't produce sound before they're played! The effect of pre-ringing in DAC's is subtle but in my experience easily audible because it messes up transients like piano attacks. Still, when dealing with an inadequate 44.1 sampling rate, we're stuck with tradeoffs. The impulse response test signals are appropriate because, mathematically, impulse response characterizes the filter. Xivero is I'm sure correct that a filter operating far outside of the passband has no ringing, because there's no signal up that high, and a filter won't ring if it it isn't fed a signal. But this is one of the main reasons we have high res, DSD, and MQA in the first place. I happen to agree about MP and LP filters at lower sampling rates -- since neither is correct, it's a question of choosing the one that's best for the material. So the best compromise will depend on the recording. This I think has been built into MQA, since it allows the mastering engineer to choose different reconstruction filters. Some high end DAC's now have this capability built in as well. You have a point about MQA interfering with reproduction for those who don't use it -- but then, wasn't that true of 45-45 stereo and Dolby B as well? I don't know what their licensing fees are, but if they aren't too onerous I don't think this is much of an issue -- it can be built into DAC's or partially implemented in the player, as Tidal has done. Since Audioquest has made it available in the $200 Dragonfly Red, I can't imagine that the licensing fees are too onerous, although someone is free to correct me if I'm wrong. From my personal perspective, though, anything that gets us away from the abortion that is 44.1 sampling is welcome! And that's still most program material, unfortunately. Hi Josh: I asked how YOU know whether there is (or is not) pre/ post ringing -and by extension that it's 'unnatural' ?
" ...So, why are marketing departments using a mathematical signal called Dirac impulse, that has an infinite bandwidth and does not exist in reality, to show the ringing effect of long linear phase filters instead of applying real world transients that really occur within a 48kHz bandwidth limited system?" You go on to say: " ..The impulse response test signals are appropriate because, mathematically, impulse response characterizes the filter." You say "impulse response test signals", and I was referring to the fact a Dirac impulse signal was used in the MQA graphs -and likely subsequent images used by all subsequent 'follow-the-leader' commentators. The 45-45? 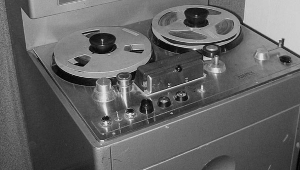 stereo and Dolby "B" examples never required master file (tape) manipulation in order to do 'its work' - as MQA does. A potentially perilous pre-condition (of MQA), many have opined. ..."always-superb sound quality we have heard from decoded MQA files"
Why do so few others (except the group of paid Facebook shills) hear this miracle? 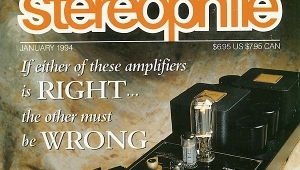 And Stereophile can't be getting much advertising money out of it to date. So, I can only conclude that Stereophile is 'pushing' it as part of the PERFECTLY NORMAL process of 'keeping the pot boiling' with anything 'new' to give us a reason to buy the magazine or look at this site. It is 'of interest' after all, whether it actually improves anything or not. I would prefer that MQA be made available in software alone, which could then be implemented in the music server-instead it is made as an (expensive; licensing fees) hardware change to the DAC-thisis how the MQA group justifies the licensing costs to hardware manufacturers: "look, you will now sell a lot of new DACs!" Agreed. Make it available as software AND also make it non-proprietary and open source. Then, software experts can look at the source code to discover what is *really* going on with all of the smoke and mirrors. Whatcha hidin', Meridian? Let's see it. Not quite sure that's a good business model. But my personal opinion (and that's all it is, an opinion) is that the market for new DACs because of MQA will be small. I follow (but have not joined) Computer Audiophile, which is now by far the biggest, most respected, and probably most influential computer audio site, and even iPhones are computers, and non-computer sources are becoming obsolete). Few members except a small number of probably UNpaid shills, people who will buy anything 'new' as long as it's shiny and heavily promoted, and technically clueless members, seem to be in favour of MQA and anyway we 'HiFi enthusiasts' are a very small niche of the overall audio market. And I don't know ANYONE who has added an external DAC to a phone or pad except myself, who uses a Mojo on the rare occasions I walk about and listen to music at the same time. Nor do I know anyone who has heard of MQA - certainly 'teenagers' haven't. A I said, it's likely a "Make some profit real fast or be closed" from Meridian's Swiss owners. MQA only pretend to be separate. I give MQA probably a year, at most two, before it sinks without trace. And Meridian itself is so small in the UK (its home country) 'HiFi' market that it passes unnoticed even among UK audiophiles. Just thought it worth saying, as a lot of the kickback is against the likes of JA and co. The current, stress current, situation for me is that MQA has caused me to buy a new DAC (Meridian Explorer 2 at £130, about £60 incremental cost allowing for selling the old one, so peanuts in audiophile terms). I was already a Tidal subscriber, so the content is zero marginal cost. Not saying this situation will continue ad infinitum; companies have to make money. But for now it strikes me as a good deal for the consumer if you want it. If not don't take it. And I doubt Bob Stuart's ability to manipulate the market as some fear he is doing; he's clever but not that clever! As Mr. Wright offers up; perhaps the beauty of MQA lies within the compact/entry-level wares market? In which case I guess that's good. A Meridian Explorer 2 (or Dragonfly) at approx. $200 (US$) is a modest hi-fi investment. If MQA somehow improves performance for these listener's, it may be the "smashing baby" (Austin Powers) 'hit' that has found a home/audience. However, as many are concerned with/by: MQA must NOT impact nor influence global market distribution/consumption options.
" ...and non-computer sources are becoming obsolete"
And you say: "I give MQA probably a year, at most two, before it sinks without trace." Here's hoping. And also to serve as a none-too-friendly reminder for any others who envision such an 'Apple-esque' approach to market dominance desires -don't bother, such self-serving interests will fail either sooner or later. As MQA requires the use of specific reconstruction filters, and those have to be implemented in the DAC. However, Tidal already does software MQA decoding -- the first unfold -- and they say that that provides 80% of the benefits. (I'm not sure why they can't do the other unfolds as well and then let the DAC use its standard reconstruction filter, which I'd expect to do little violence if the MQA output were at 192K or more). They do not. These filters could just as easily be made available in software to be used within the music server, as long as the server has enough processing power, and any Mac or PC is going to have much more processing power than a DAC. I am aware that the first "unfold" is available in software, but there is no reason that the full unfold could not be applied in software as well-the only reason MQA does not allow this is because they need to have a reason for hardware manufacturers to pay the (substantial) licensing fee for MQA. By making it only available in hardware they tell DAC manufacturers: "look, you will now sell a whole lot of new DACs to people who must have MQA"! Those are the reconstruction filters. Yes, they could do the second and third unfolds in software, but the reconstruction filter has to be loaded into the DAC or FPGA according to the medatada in the MQA stream. They also claim to take the characteristics of the DAC's analog circuitry into account. And if they're going to do all that, well, that's what an MQA license is for. They say that the reason they only do the first unfold in software is for compatibility with devices like the Dragonfly Red that are limited to 96 kHz USB because of the need for a dedicated driver for higher sample rates. This of course would not apply to every DAC and I hope they'll make the full unfold available in software for equipment that can accommodate it. barrows: When you state: " ..to pay the (substantial) licensing fee for MQA ..."
How much ($$) we talking about here? In my replies (the past few weeks) regarding Mostly Quacky Audio, I rarely brought up the financial concerns of this Monetarily Quenching Algorithm (I want acronym authorship here too -lol) ! Could someone clarify what those Hardware manufacturer's fees would be ? If a sloppy, ill-advised proprietary compression scheme (for free!) was not enough, we've yet to be informed of the financial burden MQA imposes? It goes from bad, to really bad, really fast. Nasty stuff here. Someone please clarify the licensing & associated fees concerning this .... conundrum of a Monetarily Quenching Algorithm. Consider that MQA claims files which are not fully decoded sound better too. This means they're trying to convince major labels to release only in MQA. More $$$$ for MQA. A) "MQA claims files which are not fully decoded sound better too." B) "This means they're trying to convince major labels to release only in MQA. More $$$$ for MQA." It appears to be a shameless, run-away (mini) train -this Maniacal Quandary Association of an organization. Most DAC manufacturers, including dCS, either don't give a frequency response above 20KHz or show a sharp cut off at or near that point regardless of the sample rate. So even the golden eared gods won't hear anything. Hey sh: Strange how/why a manufacturer (specifically one of expensive wares) cares not to provide detailed performance data -including frequency response? This is basic stuff: I for one would like to know frequency, speed/slew rate, noise, digital filter data/charts of the various circuits. Yet I suppose the $20K minimum (dcs) entry fee may not be enough to provide customer's with this basic (and desirable) practice: Technical Specifications. Additionally, I have great doubt HF extension hearing capability distinguishes "Golden Eared" listener's. I suspect the 'magic' lies at the other end of the audible spectrum -and to no small degree. Extended bandwidth is an appropriately sought after objective, yet won't be worth a damn if passband (frequency) performance is glossed over -given nothing but passing consideration. If not given proper attention, impaired slew-rate, headroom and higher noise may very well hamper the impression of 'ultrasonic' perceptions. With today's digital extended-bandwidth source material, it's unfortunate (and highly unusual) for a manufacturer not to discuss or reveal circuit performance they likely slaved-over for extended periods of time. OK then, Hockey Playoff time .... Ciao ! And while I take your point that it's the lower frequencies that matter most, with many DACs, including the dCS ones, showing a sharp frequency response drop above 20KHz whatever the sample rate, NOBODY is going to hear much above 20KHz as it won't be getting to the amp and thus the speakers. Which not only shows that 44.1 is deemed at least 'sufficient' by these many manufacturers, it renders the content of MQA's 'unfold', and thus MQA itself, completely pointless as that of course won't get through at anywhere close to the original level either. It therefore follows that those who claim that MQA sounds better MUST be liking the sub-20KHz distortions that MQA is proven to introduce. In any case, MQA is likely destined to be a niche product in an already niche market at best. Most people don't have the equipment to decode it or the headphones/speakers to tell the difference in quality. TIDAL, last I read, had roughly 1% of the market share of paid music subscribers, and many of them pay for the basic package that does not include MQA. In an age where I can stream 4K content to my TV and storage is cheaper than ever, there isn't a dire need for compressed music. Even granting superior sound quality (which is debatable as long as questions remain about which masters are used), MQA will probably end up like DSD, SACD, or 5.1 surround sound mixes. I agree with some of the comments above. There's no need to misrepresent the dissatisfaction with MQA as being "nasty". Sure, forum comments can get heated at times, but that's just par for the course and happens with all kinds of contentious topics; not just audiophilia. However, I must say that the advertising and claims from and about MQA have been unbelievable (like the TAS articles and some of the writing here). This has provided much fodder for critics to really bite into with very good reason! Sound quality is only a small part of the numerous issues with MQA. There are greater implications many are unhappy with and deserve more discussion than just filtering and claims of temporal "de-blurring". I respect that you, while opposing MQA, do so reasonably and based on evidence. 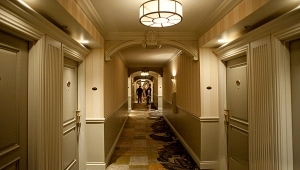 But there’s no doubt that there are many posters in forums who are highly abusive about MQA, and more particularly, about the morals and motives of Bob Stuart and MQA Ltd.
And why should those posters not point out these problems? There are problems here with the way MQA has been introduced, and the way it is being sold. The marketing was fully BS at the introduction, making all kinds of claims about improved sound quality with nothing backing it up, even the name itself is entirely specious. MQA implementation being available in hardware only makes our DACs more expensive, when many may not want it. There are good reasons for people to be upset with Bob Stuart and the MQA group and how it has been pushed on consumers. When a new tech comes along, which first makes extravagant claims about improved sound quality as if it were some kind of revolution (without any real substantiation) and then requires the consumer to purchase a new DAC to take advantage of it, when it easily could be provided at much lower cost as a software upgrade, of course consumers will be angry, as it looks like a money grab. That is one of my complaints about MQA right there--how it is marketed. It is being pushed HARD, and it seems that primarily the only overwhelmingly POSITIVE views about it are coming from the high-end press. Even a video "survey" from CES (?) posted on this very site earlier this year was full-blown MQA propaganda--those asked about MQA in the video were primarily industry people, NOT anyone who would actually purchase these with their own money for home usage. Let's see how that would play out at AXPONA. But I bet nobody at Stereophile would have the cojones to show up with a video camera and ask only the attendees what they think. Is it any wonder that the average consumers feel duped? If all of our fellow high-end enthusiasts were raving about how great this new technology sounded, it would be easier for the rest of us to accept it. It's also a hard sell when MQA provides the answer to a question nobody has asked. Skeptical? We have every right to be. We've seen nothing whatsoever except unintelligible technobabble from MQA (keep it short and sweet, and maybe we'd read it), and non-stop "marketing" by way of all these pro-MQA articles in the high end press. Rudy: You say: " .. We've seen nothing whatsoever except unintelligible technobabble from MQA"
What was not offered up (not sure if it was even asked prior to this August, 2016 column), was anything concerning MQA'd master files and how "all DAC's/CDP's will benefit" by MQA's recording manipulations? Or whether non MQA'd messed with master recordings would remain available to consumers -although I'm not sure MQA would have an answer to this; a question for the record company's consideration. Other than some (crucial) exceptions, everything else was laid out clearly, extensively and articulately by Mr. Stuart. Therefore your assertion that MQA was/is nothing but " ... unintelligible technobabble from MQA" is simply incorrect. Like it or not, Mr. Stuart is a bright, respected (less so now perhaps -lol) and capable engineer. That he wedged himself in a rather peculiar battle with peers is perplexing; did he not envision grave 'industry' concerns? Did he even care to ask? Does he/MQA care? Has he disrespected and undermined industry protocol and/or 'internal' tradition? These questions remain in an embattled dilemma for all involved. I can almost assure that despite any future MQA acceptance/success, he's taken an equal 'hit' among peers. In the end, perhaps a too-high-a-price to bear. I'm the UK, Meridian's home country, and have followed Meridian, and its predecessor, the disastrous 'Lecson' amplifiers, for their entire existence. Mostly because of their nice 'designer' cases, which appealed to me as much as they appealed to many people. Their market, which is tiny, even in the already small UK 'HiFi' market, is not dissimilar to B&O. But unlike B&O, which in the past and on rare occasions now, have turned out genuinely good products, Meridian, run by Stuart who is also their chief electronic designer, make high priced mediocrity, or at best products 'not outstanding in any way for the price'. So that's your answer. You may not like it, but that's how it is. Long-term UK Meridian observers have become cynical of everything they do. Also in the UK, have used quite a bit of Meridian kit over the years, always been very happy with it. And the Explorer 2 DAC I'm using is fabulous (at only £130). Even without taking into account its MQA capability. But I would like to say kudos to Stereophile for allowing an open dialogue with these comments and not filtering out negative opinions on MQA. Sadly some "journalists" seemingly have very thin skins and cannot tolerate dissent and have closed off comments or banned even reasonable commentary... Which I think have made their websites and reputation the worse for it. Ultimately, I do believe the facts speak for themselves and will be reflected in the success/failure of MQA in capturing market share.
" ..But I would like to say kudos to Stereophile for allowing an open dialogue with these comments and not filtering out negative opinions on MQA. Sadly some "journalists" seemingly have very thin skins and cannot tolerate dissent and have closed off comments or banned even reasonable commentary... Which I think have made their websites and reputation the worse for it." And yet you disallow my comments (on Audiostream)! Who are you ? You say one thing and then cower beneath empty words. How credible of you to utter such sentiments knowing full well you don't share that same integrity; baning my contributions -because why exactly ? Talk about a deceitful hypocrite. For such a big talker parading anonymously under a pseudonym is a class-act in itself.
" ... closed off comments or banned even reasonable commentary... Which I think have made their websites and reputation the worse for it." It sure has. And who else but the "Arch" to serve as its mascot ! I just looked at a mid price Cambridge Audio 10-12 year old 'universal' disc player I purchased at the time and still have. SACD? In the heyday of 'silver discs' there was a Virgin video/audio Megastore near me. Over the years I brought hundreds of discs from them. I never ever even SAW an SACD, let alone bought one. DIVX, with variations on capitalization, is one of two things. The first was an attempt by Hollywood DRM lawyers and Circuit City to muddy the DVD waters in the early days by introducing a product line and marketing model for videodiscs in the DVD vein which were limited use. It was like renting a movie, then instead of returning it, you threw it away or bought the movie. It required a modem connection from the player so they could keep track of what you watched and when. Odious! I placed a hex on them which I am convinced contributed to the eventual death of both the format and Circuit City. The other, and probably the one on your disc player, was a video encoding/decoding format that seemed to see the most light online. I'm not aware of any large distribution of discs using that format, but may have been used in non-US markets. I found that during the period when DVD was all the rage here, other international markets had video-CDs, presumably because (at the time) they were much more easily copied/pirated. I was initially quite impressed reading in Stereophile and parallel publications that MQA was a major step in sound quality but I have not heard any convincing listening experiences myself yet. I have seen until very recently not much support of MQA by the majority of equipment manufactures and some told me they will do it but only to satisfy customers which were told by the audio press that MQA is the future. So is marketing of MQA driven by the audio press? Nothing wrong with that. But we should never forget it. I disagree with the sentiment that the audio review press should function as a marketing agent for MQA, but it does appear to be the case. There was a time when we had a relatively independent audio review press, unfortunately, it does seem that way now TAS and Stereophile have become not much more than additional marketing forces for the sale of products. Perhaps it is time for a new paradigm in how audio reviewing is done: no advertising from the audio industry, just advertising from other industries: cars, watches, jewelry, etc, etc... And maybe every once in awhile the reviewer mentions how much he likes driving his new Porsche. 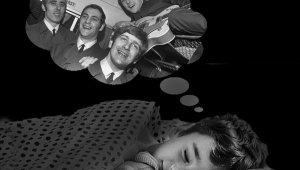 I still read, and appreciate Stereophile, but I find it sad that in the back of my mind there is work going on to try and decipher the marketing from the truly relevant, objective, reviewing. It's not MQA's critics who are making any claims, it is MQA who are making the claims and attempting to sell the product. So it is up to them to prove their claims. And if their claims were true none of this discussion as to whether it works or not would have happened. Obviously. MQA isn't an Audiophile decision or product. Why should we enthusiasts have a say ( or want to ) in compression engineering when our established commitment is to Vinyl, $30,000 Turntables, Arms and all things Phono, for gods sake. Smart Phone people are calling the shots now! Those Record Companys are getting ready to have their catalogs playing on iPhone based music systems, MQA is designed to assure high sound quality from compressed files. Anyone that has a problem with iPhone music systems should take it up with Apple, not Stereophile & John Atkinson. All this anxiety and excitement make for interesting and distressed commentary. Stereophile, John Atkinson, and TAS because they are doing all the MQA promotion. Why they do this promotion, the product originally being aimed at phones and similar as you say, I have no idea. Even MQA itself doesn't now seem to know who it IS aiming at. The more 'popular' magazines and web sites, such as the UK's 'What HifI', which covers AV, HiFi, TVs, soundbars, portable DACS, and phones, now hardly mention MQA at all. I don't see how Stereophile Mag. & Staff are "promoting" MQA. Rather, I'd suggest that Stereophile is attempting an "explanation" of MQA feature sets. The decision to adopt MQA has been made, by people that run the music industry. Little folks like us are simply vocal "Bleacher"creatures shooting spitballs at the Main Players out on the Field. You, Mr.Spacehound and I are not important in the grand scheme of things. Compare our minuscule "Enthusiast Audiophile" numbers to the World's Vast Smart Phone, active using, population and the marketplace "Reality" will appear before your very eyes. Design wise, I'd of liked to have seen Mr.B.Stuart & MQA further shrink hi-res down to MP3 or smaller. Oh-well, can't have everything, can we?... but, then again, they might be working on it. One writer with his 'time domain' stuff does not know what he's talking about. Then the 'anonymous' comment. The reason for internet anonymity for those who names are not already well known is obvious to anyone. Then calling a REAL music professional a troll. Not promoting MQA? Pull the other one. There’s so many ways one can have his standard-resolution rig sound considerably better in computer audio practically for free, that any discussion concerning n-time purchase of the same old masters through some fancy compression (!) encoding is completely irrelevant in 2018, save perhaps for some open-pocket old folks who are made believe money can buy them ultrasonic ears. So rent it - Tidal - as I do. Zero marginal cost. You do not get the full "advantage" of MQA without MQA compatible hardware (DAC). In my case I was happy to spend an incremental £60 for a Meridian Explorer 2, which I'm glad I did. One doesn't have to though. I suppose the key question is whether an MQA streamed album that is not decoded sounds worse than its 16/44 equivalent. Any thoughts anyone? I use Roon at home so it's quite easy to compare a streamed album in MQA and non MQA - you just toggle the DSP on and off. Off for MQA, switching it back on (I use upsampling) means it doesn't get decoded as MQA. I too, like you read the MQA whitepaper with great interest. They had done something with intelligence, I though: a novel approach like JPG or GIF vs raw to storing digital music. And yet, you look at JPG at various compression ratios (basically any) and you can see the colour and image degregation. You you can see, the image artifacts brought on by the compression algorithm. The MQA guys are betting (and a good bet) that the dynamic range of the recording is less than 144.49 dB, or the dynamic range of a 24-bit recording. Maybe they are thinking is is 70 dB. But shouldn't the dynamic range of the MICs be higher? Back when I did recording, I bought a pair of Earthworks mics - they were terrible mics, but I didn't want to spend as much as the B&K mics you guys at Stereophile were using. 130V would be nice. I made sure however to get at least a pair that would record up to 40 kHz, though 50 would be nicer for 96 kHz recording (DAT 2x). I made sure to get a matched pair, also, and to go for the QTC series, for better dynamic range and less self-noise (20 dB noise floor). To get a snare drum, the pair were rated for handling 138 dB. That's only 23-bit (just under), but I figured that's leaving one bit for dither, which I found really improved the sound. We'll there's still that pesky 20 dB of self-noise still. I didn't get a Pacific Microsonics model two ADC, which would of been the thing for a decent quality recording, but that was where I was headed. Now, reading the MQA white paper, the novelty and ingenuity of the recording scheme sticks out, but can you tell me (or anyone else) that they followed it, in the sense, that reading it, it made sense how it actually solved what Meridian were saying they did in it. Other than the nice little light that goes on on the DA converter, I can't get how audiophiles wish to have MQA. The same audiophiles (or perhaps not) who prefer FLAC whole-heartedly to MP3, or ALAC (Apple Lossless), etc. My internet connection is capable of transfering 18,750 Kb/s (150 mbps) or 18.85 Mb/s. That's enough for DSD (2.8224 MHz, 1-bit), 2x, 4x, and 8x! I'm really not sure why sub-standard DA converters which can't even play 24-bit with a 24-bit dynamic range get so much press today. But perhaps we can come up with a name for the phenomenon? 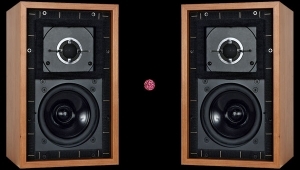 I remember when the Halcro DM 88 (and 58) came out and were reviewed by Stereophile. They had great dynamic range (THD < - 140 dB, take that MQA!) 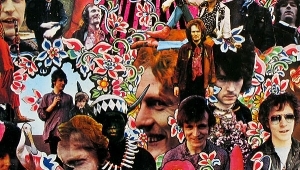 and if I were remember correctly, were proclaimed on the cover of one leading magazine, "The Best Amp(lifier) Ever!" I was expecting, after that, all future amp reviews (at least for the year) to be compared to the Halcro, with respect to sound and performance, and yet nothing of the sort happened. With DACs, when MSB Technology with their Select DAC, actually knocks on 32-bit performance (so many DACs claiming to be 32-bit with only 16-bit or so performance...), and yet other DACs which are reviewed are not compared to such, or at least knocked for not having a 24-bit dynamic range or noise-floor (there are some exceptions other than MSB). With encoding, how can claims like "lossless" or "near-lossless" of MQA not be compared to the actual frequency response and dynamic range of the loss-less digital medium? I really liked seeing this article, and look forward to the future articles mentioned! Staxguy, some good observations. Audio capture and delivery really won't be faithful to the real world until we're doing 160dB, mic to DAC (loudspeakers are another conversation). With 20-30dB room noise isolation via headphones, our required system noise level becomes the threshold of perception, or 0dBSPL. And on the top end, boom cars routinely reach 160dBSPL at chest-freqs, which is also the usable limit of many dynamic microphones (Shure SM57, etc. ), and is around the level of a close-miked snare hit. Ah great: an examination of MQA in the time domain. Sad that Jim Austin's article uses the contextually meaningless phrase "time domain" and seeks to deploy impulse responses as though they tell you much about real world signals. I note John Atkinson's tiny footnote (about impulse responses being technically illegal signals) which is intended as a get out clause for the dissemination of nonsense about what impulse responses are. It is sad that the article does not acknowledge that you can have what looks on Stereophile terms like a neat impulse response while still reproducing a signal completely wrong in the time domain at every instant other than the sampling moments. How is this possible? Because as any fule 'no' the time domain and frequency domain are mathematically interchangeable and any imperfection in the frequency domain *must* correspond with an imperfection in the time domain. So what does it mean to say that something is perfected in the time domain? And why is this only ever illustrated with illegal signals? Certainly doing it meaningfully would involve trying to find real world events which inconveniently don't occur in most recordings ever made (which have bandwidth too limited). Only then could you show any pre-ringing in the unperfected straight pcm version. And that in turn would involve the concession that none of this could possibly apply to most music ever made, or frankly to most of what goes on in any recording. And you would still have the problem of needing the pre-ringing to be detectable below the noise floor let alone the masking. I too noticed the "curious" mention of "time domain" in the context of impulse response and digital encoding/decoding. I considered bringing it up but didn't want to get lumped into the "nasty" crowd. Thanks for reminding others who might not have the technical background that impulse (time domain response) and frequency response are derived from one another and are equivalent in linear systems. You'll always get arguments from people who claim modern electronic systems are not linear (audibly so) even though they can't measure the non linearity or reliably detect it in double blind testing. For those folks, comments like ours should come with a disclaimer - " Beware, this is a sales pitch free scientific discussion zone. You may encounter intolerance of views that are based solely on subjective, ethereal, mystical, or otherwise non provable "observations"..."
I think all parties have been open about the fact that the MQA approach leads to increased aliasing, but that the developers of MQA regard this as a good trade off. The problem is that people are happy to parrot this "time domain" slogan- ie that there is a trade off between time domain performance and frequency domain performance; but this is nonsense- when you allow aliasing you don't just compromise in the time domain, you damage the performance in the time domain too. What you are doing is trading off one (ill-defined) time domain target against other time domain effects. An honest analysis would have to state that. And of course as we know people like Robert Watts take exactly the opposite view of what matters in the time domain. Of course both Robert Watts and MQA can garner rave reviews. why? Is it because there are different routes to a higher truth? Well, no obviously. The interesting point here is that the Chord DACs, have been almost universally praised for excellent sound quality by both professional reviewers and the general public. The DAVE, Hugo, and Hugo TT (not to mention Mojo) have all been very successful products and found their way into many reviewers' systems. But even more telling is the amount of positive feedback on Chord's approach from audiophiles. And, clearly, Rob Watts' design approach is different, and he is very transparent in sharing what he does, and how he does it, and why he does it. This transparency is very refreshing in an industry where an awful lot of folks rely on obfuscating the details with odd marketing speak. I am getting to the point that I am pretty sure I do not like the sound of really leaky filters with tons of aliasing, after experimenting a bit with (iZotope) filter settings in Audirvana+, and even some pre-ringing does not seem to be the "problem" which so many claim it to be. It's not just the filters. It's the DAC circuity itself too. Having owned several dacs over the last 8 or 10 years I have found that just as important as the filters is to NOT use an 'off the shelf' DAC chip, such as a Wolfson or Sabre. After a while I bought a dCS Debussy. It was head and shoulders above any other DAC I have ever heard. Now I have a Rossini, which is both a USB/coax/optical dac and a network player. It is superior to the Debussy but not massively so. Recently I bought a Mojo for mobile use. I tried it in the home system for a few days. It was not greatly inferior to the Debussy or Rossini. What IS noticeable is the HUGE improvement that ALL of them give over any dac at at any price I have heard with a regular 'off the shelf' chip. Chord use FPGAs for both the dac circuitry and the filter. dCS use a software controlled 'hardware' dac in a kind of 'ring' so that multiple simple dacs average out, so reduce, the inaccuracies at a slight noise penalty but it's still way down below audibility. (They use an FPGA for the filters.) Note this is not any kind of 'ladder' dac such as the MBLs but I expect those are good too. This improvement over ALL the 'off the shelf' chip DACS will be instantly obvious to anyone. Even the Mojo is way better than any of them. To a degree that is absolutely stunning. adamdea: Thanks for sharing -and explaining. And yet, none of this was 'known' by any so-called industry authority who've been flapping their tongues (in print -lol) when referencing those fanciful visual representations/graphs ? And some readers felt I was being to 'harsh' in calling out these wannabe chaps (some consider themselves "journalists" -lol) as being nothing than the unqualified dinks they are. adandea's quick (and correct) clarification offers evidence (let's call it Exhibit #1 -or is that #2 -lol) of precisely the illusionary nature of those pretending to know what they're talking about. What's worse is that in todays's day/age, it's so easy/fast to do some 'research', before committing to print yet are too lazy -or indifferent- to put forth the effort. Yet, I am learning so much being involved in such forums that will soon be put to (good) use! Why are we compressing files? At all. Ever. A relatively terrible internet connection now is a DSL connection which, at 1Mbit will handle streaming of any music format we can throw at it (as long as it doesn't rain on those 100 year old lines and connections). Phone companies and cable companies are now exceeding 100Mb connections to the house and next year Verizon Wireless will make it all moot with 5G wireless. Most can fit every song they've likely ever owned on a few hundred dollars of hard drive now, without compression. Meanwhile, Cambridge Audio makes some very very very accomplished DAC's for under 1000 USD that handle up to 88.2kh and higher encoding, which means it can handle far more dynamic range and frequency extension in PCM than your very best SET or Class A SS amp can deliver, anyway. And you wonder why kids don't get into audio, and when they do it's LP's and Cassettes. It's because the average under 35 with an 8th grade science and math reads this drivel and realizes his country once sent a man to the moon and now solves problems that don't exist just to do so. 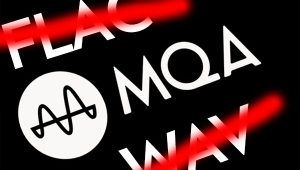 MQA = aliasing distortion for stereophiles. The End. Does the (MQA) filter's inherent aliasing degrade sound quality? Hi John, it would be better to ask whether the added aliasing distortion of MQA **increased** sound quality for its proponents, since that is the only possibility for MQA "audibility". The "Time smear" is marketing mumbo-jumbo nonsense for this added distortion...pleasing or not. That's all MQA is about, adding HF aliasing distortion...and whether one can hear/prefers this. Please list the recordings with music having >16 bits of measured dynamic range. The content itself, not the container/format. Please also provide controlled listening evidence that 50-70yr old men can hear >20kHz. Otherwise, this is all another par for course audiophile tempest in a teapot. 'professionals' say MQA is better than regular 192 they are shills, paid or not. Plain and simple. It's impossible - you can't improve on the original. It's the real one by definition, whether you personally 'prefer' MQA or not. so the time domain horsedudu the are preaching is just that. They claim time domain precision by using leaky filters (this is not how physics work) that it severly compromise the audible band below 20k. Downloading 24b 96k or 24b 192k FLAC is a breeze no need for MQA. "Not only were the MQA files smaller than the original PCM files, they were smaller than the uncompressed 16/44.1 CD version of the recording, so that claim by MQA is incontrovertible." Again any fule 'no' that this is an entirely bogus comparison, but you have to read it carefully to see what it means. What is the point in comparing a flac compressed file with a non flac compressed file? What relevance does an uncompressed cd file have- anyone downloading 16/44 is likely to use flac. And MQA is much bigger than that 16/44 file. So why say it? Could it be because to the average stereophile reader it sounds as though John Atkinson just said that an MQA file is smaller than the usual 16/44 download (flac). But it goes further because you can get essentially the same container as mqa using noise shaped 16/96 which is about the same size as MQA. [if you didn't work this out you never tried and/or never thought critically about the topic]. You can even use a dumb lazy filter when creating and replaying the 16/96 file so that it will create images when reproduced, some of which will be similar to the data correctly recorded by 192khz sampling (as well as loads of rubbish). Just like MQA. So why do we need the proprietary format, even assuming that there is a technical need for what it delivers? Correct. Let's show a few realistic numbers. I'm being generous with MQA compression at maintaining it at 50% because I've seen these files be less compressible typically than standard PCM. As we can see, JA compares compressed MQA to uncompressed CD which is indeed smaller. But that's not apples-to-apples. These days, depending on the base samplerate, MQA can be either a 24-bit 44.1 or 48kHz stream. MQA does use more bandwidth than standard lossless CD-quality 16/44.1 when FLAC encoded - by about 30%. Compared to 320kbps MP3, it also uses at least 3x the bandwidth. Lossless FLAC 16/88.2 and 16/96 streams would be within striking distance of the MQA bitrates without lossy reconstitution of frequencies >22/24kHz. Remember guys, for perspective even lossless 24/96 streaming takes up less than 3Mbps. A typical hi-res 1080P Netflix stream is already around 5Mbps and if you stream their 4K, that's up to 25Mbps. I'm certainly not suggesting we "need" 24/96 streaming, but considering how many have Netflix, certainly the bandwidth is available for many! When I tried it the 16/96 flax file packed much better than the MQA does- as I understand it’s due to the way MQA uses the lower bits as pseudo noise, which of course doesn’t compress much. Do your figures come from real files or are they assuming the same compression efficiency for MQA as for ordinary pcm? andreadea: No, but it's being very smart ! Not really the forum for factual sensibility, I've come to discover. a) I've listened to MQA and certainly don't find anything SO great and SO obviously better. Some albums I liked the MQA version a bit more, some less than the original. I also don't know if I'm really listening to the MQA version based on the same master as the non-MQA. Because of that I basically don't get the point. Why introduce a whole additional format - that also demands HW changes - is the result isn't truly and obviously better? b)file size: the whole discussion is bogus. MQA files aren't actually 24 bit, so you could use something like 16/96 or 18/96 and you'd have just as high resolution files and file size that's the same or less. c) corporate control DRM: I still see this as the only reason for MQA to exist. The record labels must see an economic benefit to it (and smaller file size isn't it) and as far as I can see the only one is if MQA catches on and then they take the actual hi-res masters off the market, and leave us with only the MQA versions. Those who don't have an MQA DAC will then be left with an crippled file that isn't close to hi-res. It's a way for the labels to protect the "crown jewels" so they're not out in the market, and will be a way to charge more for the "not-crippled" versions of files. MQA is a happy thing for people who stream. I do not believe it was deserving of the breathless praise it got while it only existed as "I heard five cuts at an audio show and it is the greatest thing since perfect sound forever." It is a substitute for a high rez original for someone listening over the interwebs. The place to really watch is whether it will be a viable accessory for listening to hi rez once that format is streaming or being played back in the home. If MQA is all that, I should be able to get a DSD feed on a transport or digital source, feed that into a MQA 'Sonic Improver,' and then hear improved sound from the original source. If MQA can take the original, perform its origami magic, and then output 'better sound' it will survive. MQA will live or die, in the long run, based on whether it improves high rez originals. PS Audio has a new rig that can get the original DSD layer out of an SACD...feed that into an MQA 'folder upper' and then decode it and see how it works. So, as a listener of streaming music 90% of the time, I just want better sound. I don't really care to compare critically MQA vs DSD vs uncompressed (or losslessly compressed - like FLAC) PCM -- at least not today. My bar is much, much lower. I just want more content that is higher res than Red Book. I find some 24 bit content on Tidal, but rarely do I find any *new releases* in > 44.1kHz. In this respect, I do not view MQA as a success. I bought an MQA DAC and lived with it for 5 months earlier this year. For all the genres I listen to, I follow the Billboard weekly charts. In the span, the # of tracks on the Billboard charts that were avail in MQA from Tidal was a whopping TWO. Yes, just 2. Contrast this with Bluray... Within 2-3 years of introduction, it was difficult to find a new movie release on DVD to not be avail in Bluray. MQA fans shout me down pointing to the large catalogs of re-encoded material -- oh great, so, if I like a new track, 4 years from now it will be available in MQA. Until MQA becomes a first format of choice for the studios, it is of little value to me.
" ... DAC for another unit that I feel is the absolute best for PCM content..."
Oh do tell. Which one ? I'm confident readers will be interested, particularly since you gave MQA/DAC a fair shot. Potential metrics for FLAC vs. MQA vs WAV, etc. Using common tools in modern electronics laboratories (e.g. JA's bench at Stereophile), may allow some insight. E.g. there are some audiophile claims of WAV superiority to FLAC. Perhaps the extra processing the decoder chip has to do to unpack compressed files is not so clean, etc. ---spectrum analyzer: looking at chip's power pins may reveal distortion. --- thermal camera : how much thermal energy does the chip radiate processing FLAC vs. WAV? Thermal cameras have become common, even economical (e.g., add-on for Smart Phone). Thermal images/videos of digital ICs -- while playing music or test tones -- would be useful. Similar techniques could be used to objectify MQA processing. Such knowledge discovery can be standardized as new audio Measurements and benchmarks. That may appease the Objective community somewhat. Modern computers; even relatively slow ones like Raspberry Pi's have no issue at all with FLAC decoding for example. We're looking at significantly <10% CPU processing cycles. Therefore really no point using thermal cameras, etc. since the heat generated and putative noise level very low. What is more important is what the analogue output from your DAC looks like. Thermal images/videos of digital ICs -- while playing music or test tones -- would be useful. How about a controlled listening test by such audiophile claimants? Unpacking FLAC is very simple. The maximum CPU usage I have ever seen under any circumstances with JRiver is about 4 percent, and that's unpacking FLAC, driving the '3D' (which I prefer) display, and playing all at the same time..
And from JRiver 22 you can set it to unpack the entire FLAC file before playing. It takes considerably less than a second even with a track that plays for half an hour. Yes. A nutcase on Computer Audiophile went from FLAC to WAV and back again 250,000 times. It was still bit for bit identical at the end.
" ...E.g. there are some audiophile claims of WAV superiority to FLAC. Perhaps the extra processing the decoder chip has to do to unpack compressed files is not so clean, etc. "Jim Austin examines the D/A aspect of this claim in his article in this issue..."
Will this article be avail. online anytime soon? The length of this comment thread, and the average length of post, provide a spectacular picture of the contentiousness. - or is this why the audio equipment & press are pushing it. I say buy yourself a modest Oppo-205 at least & be thrilled by the glorious sound which meets your ears and that's as good as it gets. The audio press has tried for years to bury SACD unsuccessfully without success. Why? Because audiophiles know it's the best. Therefore it will, and must, write about anything that will fill its pages or website. That of course is true of all magazines, it's not confined to the audio press. I'm keen on fly fishing for trout. There are at least three monthly magazines in the UK on that subject. There used to be several more but they have all gone bust. MQA has people putting on their thinking caps. I remember when Dolby was rolled out ( 1968ish, with the help of KLH ) and we all had to "buy-in" to the demonstrably better technology. Dolby was in London England, funny how those clever Brits seem to have a hand in many of our Audio advancements. Though mostly based in the UK Dolby is US owned. Later he left Dolby and founded Rockford Fosgate (car audio). He's still around and still active. Will likely be dead in a years time. Meridian, who have never made a profit in their 30 years plus of existence, were purchased by Richemont, a Swiss 'luxury goods' company who took Meridian over when Bob Stuart's wealthy wife got tired of propping it up with her family's money. MQA is not actually separate from Meridian, it is just an 'arms length' outfit for tax purposes and to limit the damage should it fail. And Richemont, who are basically a 'holding company' comprised of financiers/venture capitalists who have zero interest in the actual products, have put Meridian into their special division they reserve for their less successful companies. That division also exists for tax purposes and damage limitation. The point isn’t if MQA sounds better, same or worst. To me this is a proprietary closed solution designed to generate licence fees at both the recording end and the playback end. It is a money grab. This industry is dying, it members are becoming extinct and there is no plan to attract the next generation. So all this industry can do is resell versions of the same material under a different format or package. So how many file formats do i need of my favourites. I thought that after SACD it would be clear to all that this idea of dedicated hardware and re-encoded music is dead-end. Seriously sad to see all this... doesn’t do a thing to bring new younger audiophiles. I’m 50, so I watched and Listened for a few years and I see more poor choices then good ones. 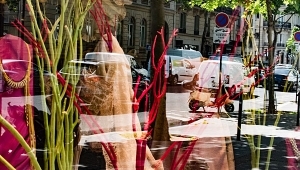 - stratospheric prices disconnected from cost of living and disposable income. - need i go on? From the recording industry to the broadcast industry to the audio equipment industry instead working together they have hurt each other now they wonder why the next generation doesn’t buy music, doesn’t buy gear and actually doesn’t care. I feel for the artists and musicians because they are stuck unless they become completely vertical alone by recording and distributing their music outside this. At least their art will be heard but they won’t get rich. Good luck with your format wars... you are on life support and seem to ignore it.